Ryo's opens up in Bondi Junction, transporting their magical style of ramen and tonkatsu sandwiches with them. 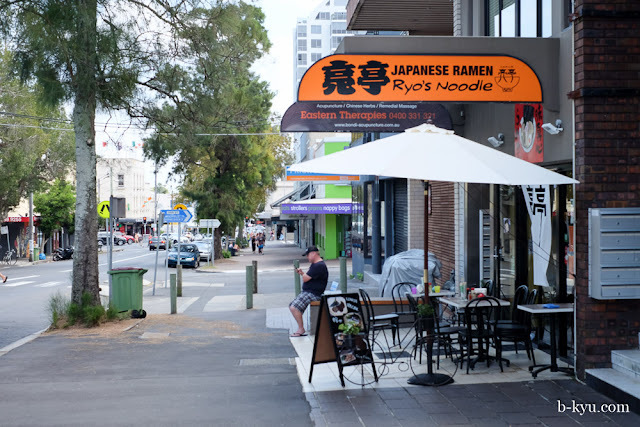 While Ryo's in North Sydney often served as a Saturday lunchtime ramen destination for us, the location and limited opening hours where always a little inconvenient. So opening up a store in Bondi Junction, with a whole different set of opening times (Sunday, yay! 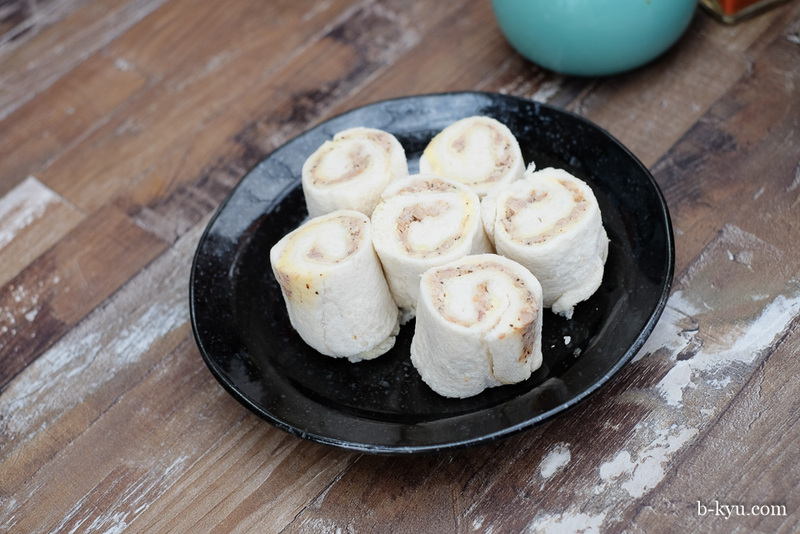 ), suits us right down to the tomago. 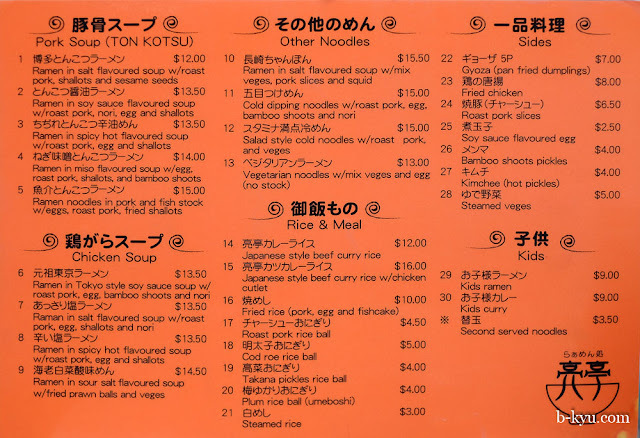 Bondi Junction has long been the home to a number of other ramen bars, Ichi Ban Boshi was one of our first ramen haunts when it was located further up Oxford Street, and Bondi Ramen serves a decent bowl. So this new player has some noodly neighbours to contend with as well. The inside is decorated in the characteristic yellow of the North Sydney store. There feels like a little more space here at the Bondi Junction branch(but not much), especially as you don't feel the pressure to slurp and run so the queue reduces. Sitting outside in the street you lose some of the Japanese fantasy, especially as the Australian curse (flies!) 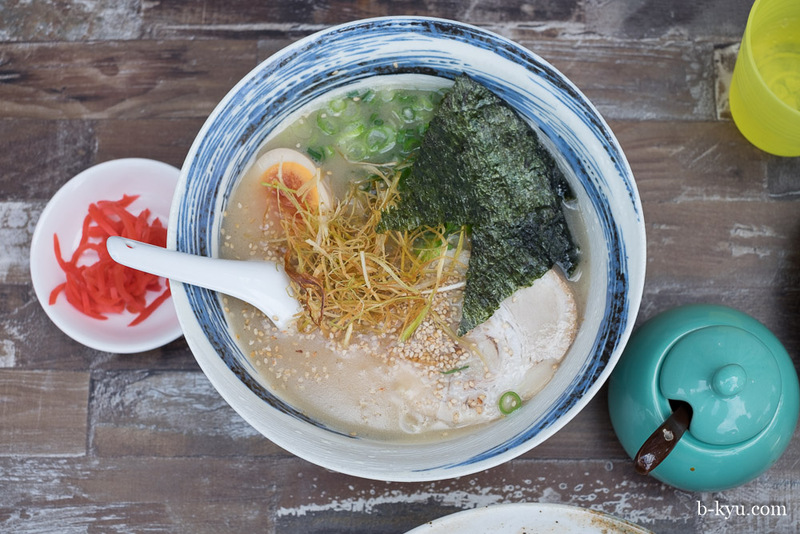 try to mar your alfresco ramen adventure. You can also pretend you are in Kamakura when the surfboard wielding locals are going by. Homemade roast pork rolled sandwich, $5. No sooner have we sat down and looked at the daily special, it's ordered and appeared ready to eat. These are like small sushi rolls made with flattened white bread and filled with a mix of shredded pork and mayo. Gone in 60 seconds. So good. We also added a dollop of chilli sauce on to a couple for an extra spicy variety. 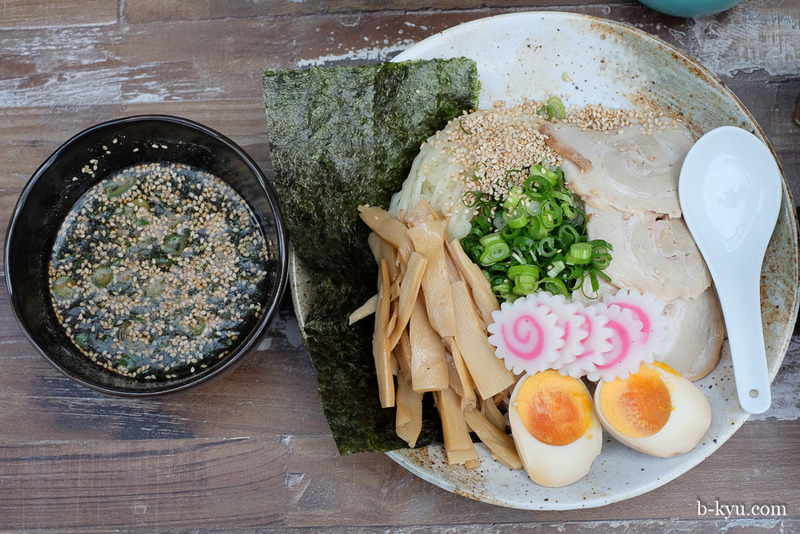 Summertime favourite, cold dipping noodles with roast pork, egg, bamboo shoots and nori $15.00. Hidden under all that pork and egg goodness is a pile of cold ramen noodles to be dipped tskukemen style into a small bowl of broth. We love cold ramen noodles served this way, it could almost have been invented for Australian summers. Ramen in pork and fish stock $15.00, with a shio (salt) base. This is the heavy style of tonkotsu soup favoured in the Hakata region, cut with fish stock for a little more depth of flavour. The soup is good and thick, probably not the best choice for a hot day but sometimes you can't deny the craving. Shredded ginger is available on the counter inside to add some balance to the rich soup. When our bowls were cleared away we were asked if we enjoyed our soup. Affirmative. "Yours" he said, pointing at Shawn's demolished noodle plate "is healthy." "Yours" pointing at Alison's ramen soup remains "mmm, not so much". 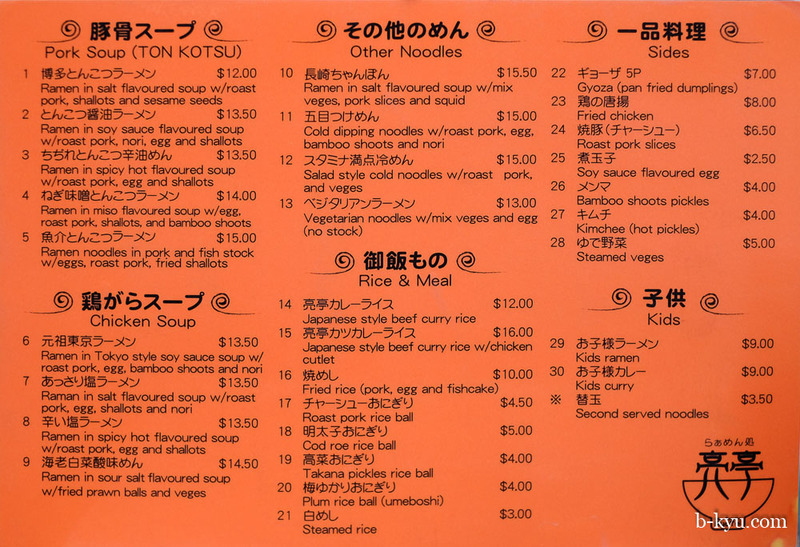 Ryo's Noodles menu - click to enlarge your waistline. There are a number of daily lunch time specials during weekdays, as well as their wonderful tonkatsu sambos. Need a souvenir of your ramen adventure? Look out for the Ryo's t-shirts for sale inside the store with a huge dragon on the back, about $30.